← How an introvert can spice things up – ever think about it? The only person who can gain control once again is the same person who lost control in the first place, their self. Everything that happens in life is a direct impact of choices we have made and actions we have taken. We can use this power to either positively direct our lives of we can sabotage ourselves with it and cause complete loss of control. Surely, you would like the impacts to be ones that lead you toward a happy and blessed life. If so, the only way this will be achieved is if you once again take control of your own life. 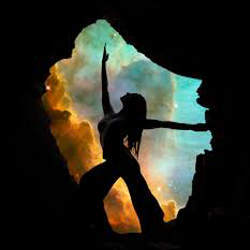 The power that will be needed to regain control can be provided from within yourself. Believe it or not, each and every single person has the capability of summoning inner power that can be used to tackle nearly every obstacle in life. The question is, how do you summon this power? Perhaps one of the best techniques that a person can use to summon inner power and strength is to remember a time in their life that they were challenged and were triumphant. This simple act works wonders when it comes to building confidence, personal power as well as strength which will be highly beneficial tools when it comes to taking control of your life. Setting goals is an important part of maintaining control of your life. Not only do they keep us motivated, but they also allow us to determine whether or not we are on the track we want to be on in life. It is best to start with smaller goals and then work your way up to larger ones. This will surely provide you with an abundance of personal power as well as confidence. Always keep the prize at the end of the road on your mind. This will serve as a great motivator at the times that you feel like giving up. Every time you reach that prize, your personal power will be beefed up as well as your confidence to take on the next challenge. Basically, our life is ours and we only get one to live. So the question is, would you rather be in a controlled life full of personal power or would you like to live a life controlled by circumstances and outside influences. Surely you would prefer to be in control. So the question is, what are you waiting for. Grab the wheel and use personal power to put you back in the driver’s seat of life! Here are more tools to beat depression in a safe and easy way. This entry was posted in Self-Improvement and tagged personal power, self improvement. Bookmark the permalink.